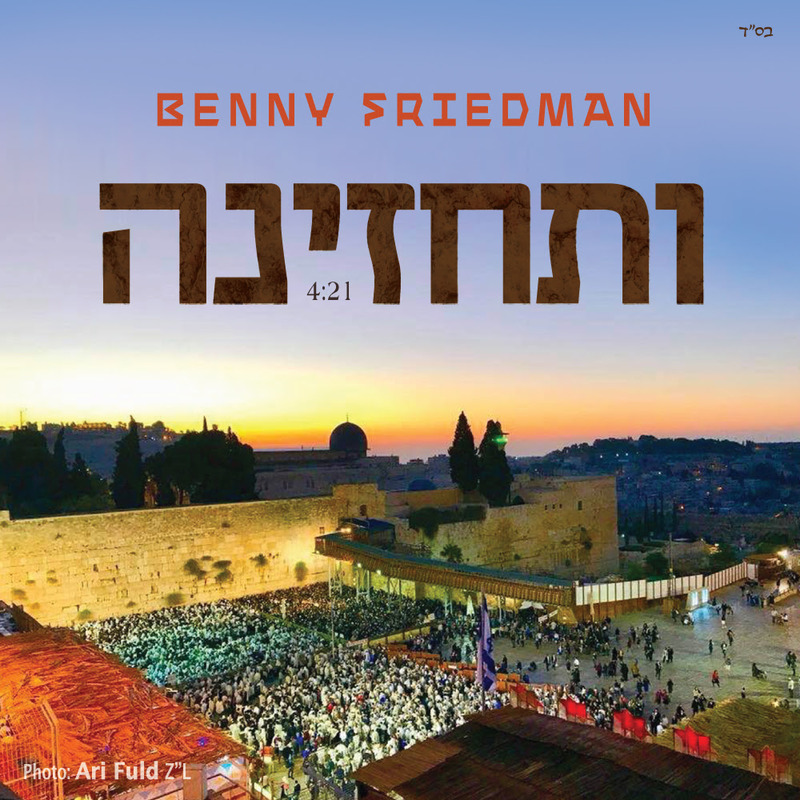 New single by Benny Friedman! The brand new song, Vesechezena, was composed and arranged by the great duo Yitzy Berry and Eli Klein. The cover photo was taken by the holy Ari Fuld Z”L on Hoshaana Raba of 5778. The song’s lyrics come from the daily Jewish prayer, where we implore Hashem to have mercy on us, and return His Glory to Zion, may it be speedily in our days. Vesechezena is a single off the upcoming album, title TBD, release date still undetermined. But stay tuned. The song, as well as the upcoming album will be available through Nigun Music online and in stores. Download the single at Nigun Music, Itunes, and stream it on Apple Music, Spotify as well as other platforms music can be heard. Enjoy! Strings: Eyal Shiloach & co.